"Questions need to be asked as to why cash-strapped Dorset County Council was prepared to spend large sums of money preventing members of the public from correcting obvious mistakes and inconsistencies on its Definitive Map." Dorset County Council will have to review the status of five rights of way in the county after a Supreme Court victory for the Trail Riders Fellowship. The TRF is now questioning why the council chose to fight the case in the first place. It is widely accepted that Bailey Drove in Batcombe, Doles Hill Plantation, in Cheselbourne, Crabb's Barn Lane in Beaminster and a route between Tarrant Gunville and Chettle and another between Meerhay and Beaminster Down, should be Byways Open to All Traffic throughout their length. Dorset County Council refused applications for these errors on its Definitive Map to be corrected in 2010 – not on the grounds that the corrections themselves were invalid, but because the maps supporting the applications were not Ordnance Survey 1:25,000 scale, but copies of Ordnance Survey 1:50,000 maps sourced electronically and enlarged to 1:25,000 scale by the applicant. After earlier hearings in the High Court and Court of Appeal, Dorset County Council's argument was rejected by the Supreme Court on 18 March, 2015, and the council will now have to process the applications. The Trail Riders Fellowship understands that Dorset County Council faces a substantial legal bill. "We are puzzled therefore as to why it has taken five years and three expensive court cases to force Dorset County Council to start to process these corrections. "Questions need to be asked as to why cash-strapped Dorset County Council was prepared to spend large sums of money preventing members of the public from correcting obvious mistakes and inconsistencies on its Definitive Map. "Were they acting on the behest of wealthy landowning interests, were their strings being pulled by Westminster politicians, or was there some other reason?" 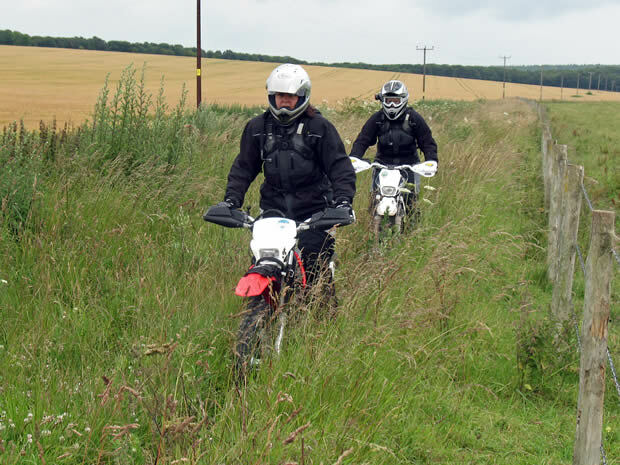 The Trail Riders Fellowship was founded in 1970 to preserve and promote legal motorcycling on unsurfaced vehicular rights of way in England and Wales. It should be noted that trail riding is not 'off-roading'. The routes used by trail riders have vehicular status, although they may lack a coating of tarmac.